Keeping fit is key to living a long and happy life. TXG's Sports Unisex Compression Socks are designed for athletes and sports enthusiasts. They have been developed with the optimal amount of compression to increase the flow of oxygenated blood. Whether your exercise of choice is long distance running, high intensity resistance training, or yoga – our sports socks and compression sleeves will help enhance athletic performance and recovery. It’s been proven by experts that using compression wear while working out decreases your post-exercise recovery time and injury risk. All exercise creates microscopic tears in your muscles, which causes the soreness you feel after a tough workout. When you use compression wear, your muscles are forced to retain less fluid and so will swell less. Compression helps boosts lymphatic function, so these areas hurt less after working out. TXG's sports socks are designed for both professional athletes and casual sports enthusiasts. 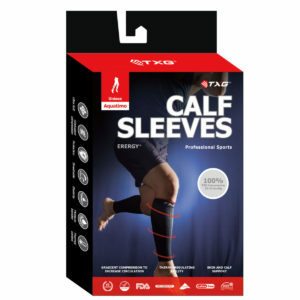 They’ve been developed with the optimal amount of compression to increase the flow of oxygenated blood to enhance performance and recovery in men and women. The soles have extra padding for shock absorption. Our unique patented X-pattern design provides strong yet comfortable protection for the ankle area – simulating the benefits of strapping the ankle without the tape. 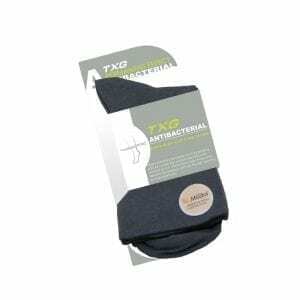 Our socks are made using Coolmax, a high-performance fabric that combines an effective fiber-based moisture management system with a unique twill weave for a high level of breathability and comfort. We offer calf compression sleeves, should you need extended provide calf support and performance-enhancing compression while still being able to wear your favourite socks or team uniform. We also offer arm compression sleeves to keep your arm muscles compact while regulating temperature, so that you gain more power from your arms with less fatigue.